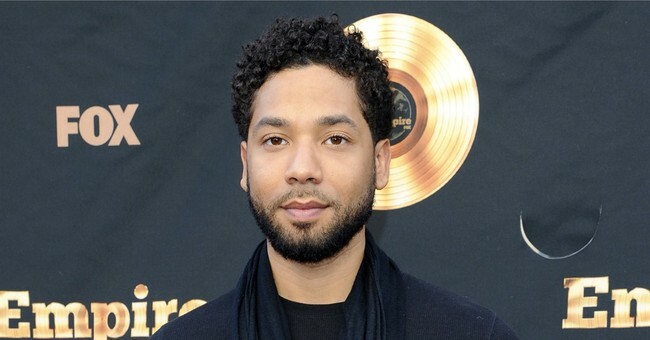 Leave it to Jussie Smollett to unite Rahm Emanuel and Rush Limbaugh. In the space of a few hours Tuesday, the unfathomable vaporizing of the charges against the “Empire” actor had voices crying foul from the halls of Chicago politics to the studios of conservative talk radio. Interestingly, a story that has everything to do with politics managed to cross political lines. One did not have to be a conservative pundit to recoil at the absurd disintegration of what appeared to be a solid case of hoax-mongering against Smollett. Reports surfaced immediately that Chicago Police Superintendent Eddie Johnson was mortified by the decision undercutting the passionate points he made in his press conference after Smollett’s arrest. Mayor Rahm Emanuel weighed in immediately with the imagery of unequal justice: "Where is the accountability in the system?” he lamented. “You cannot have – because of a person's position – one set of rules applies to them and another set of rules apply to everyone else. Our officers did hard work day in and day out, countless hours working to unwind what actually happened that night. The city saw its reputation dragged through the mud...It's not just the officers' work, but the work of the grand jury that made a decision based on only a sliver of the evidence [presented]. Because of the judge's decision, none of that evidence will ever be made public." As will often happen, the first bursts of analysis were scattered. Guests desperate to make sense with zero information on cable news segments gamely called on their experience to suggest that something in the evidence must be flawed—that authorities soberly examined the testimony of the mysterious Nigerian brothers and other factors and shrugged that the bar for successful prosecution was simply not met. That led to some moments of criticism of Chicago police and prosecutors, for “getting ahead” of the facts and trying to conduct a trial in the media. That lasted for about ten minutes. Then came the narrative that speaks to several unpleasant truths. While Jussie Smollett and his attorneys took to microphones to vouch for his truthfulness and character, a picture emerged of a Chicago system so riddled with corruption that prosecutors dropped the charges because their target had already performed some ill-defined community service that would have been the only consequence he would have received had he been convicted. Besides, they said, he let the government keep his bail money. Nothing like the whiff of a payoff to complete a Chicago crime story. One wonders if the feds will be so easily lured away from charges of mail fraud stemming from a self-mailed hate letter. The only thing more frustrating than a miscarriage of justice is the beneficiary trying to have it both ways. Smollett has made clear his passions for fighting injustice, so one would think that if he really felt maligned by lies and a false arrest, he would be burying city and state officials with invective and lawsuits. Instead, he slinked out into the chilly sun of a Chicago lunchtime, happy to hit the exit ramp of a story that cannot be allowed to fade. Prosecutors’ reputations hang in the balance. A police superintendent who had inspired the nation with his courage and clarity stands rebuffed, and why? Does this bear the fingerprints of activist State’s Attorney Kim Foxx, who was reportedly lobbied by the office of former First lady Michelle Obama? Is thoroughly worthy evidence in a clear-cut hoax case being suppressed to achieve a political result? We have long absorbed that the wealthy, famous and powerful can enjoy a better ride through our justice system. This has nothing to do with that. As Ann Coulter observed, Donald Trump is wealthy, famous and powerful. Jussie Smollett’s escape pod is fueled by the engines of politics and race. When authorities seeking to score points in both of those arenas contort their procedures, it erodes confidence in the portion of government where fairness is of paramount value. There is a reason why the Lady Justice statue holds her scales blindfolded; it is to ensure that the matters before our courts will be weighed without regard to who argues before them. In the Smollett case, the statue’s blindfold has been stripped away. Chicago justice, seeing a darling of the left in the defendant’s dock, pressed a heavy stone thumb on the scale in his favor, suppressing the interests of police, investigators and citizens interested in accountability. Now the question becomes: will this stand? Is this just the way it is? For a few weeks, Americans of every race and political stripe had been allowed to see an example of a troubled city getting a high-visibility case right, promising consequences for a crime of stunning, craven opportunism. It would be tragic if that example is lost.